Start off by placing your dehydrated milk kefir grains in 1 cup of water. Let this sit for 8-10 hours until they have plumped up. Strain the grains out of the water and place into ½ cup of milk. Let this sit for around 24 hours at room temperature. After 24 hours check on the grains, the milk may have separated by now, if it has, double the milk for the next 24 period. If it hasn’t, discard the milk and add in another ½ cup of fresh milk. Continue switching out the milk every 24 hours. 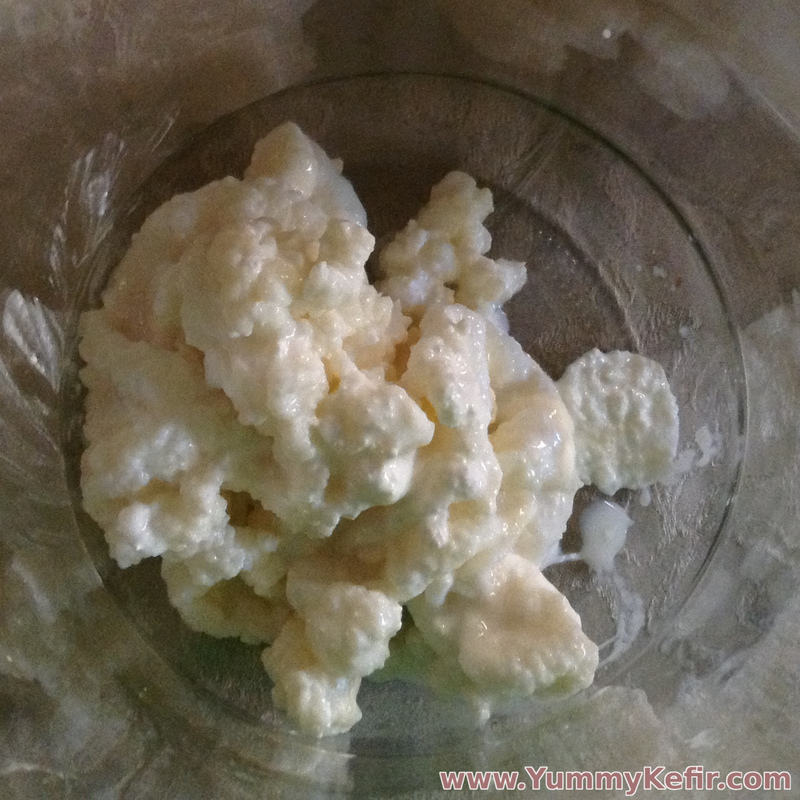 Add more milk each time if your kefir is separating too quickly for you. Ideally you will find a ratio that allows the milk and grains to sit for around 24 hours before you need to feed them new milk. Likely, this ratio will be somewhere around 1-3 teaspoons of grains per 1 quart of milk. If your grains have not awakened (starting making milk kefir) after 2 weeks, it may be that they will never wake up. You may need to acquire new grains. It can help to break up the grains to expose more of the grains surface to the milk. Try not to make them so small that they get sifted through your strainer!